The Caterers Inc is the only company in the Las Vegas Valley that will design and build a walk in cooler on site, at your location. 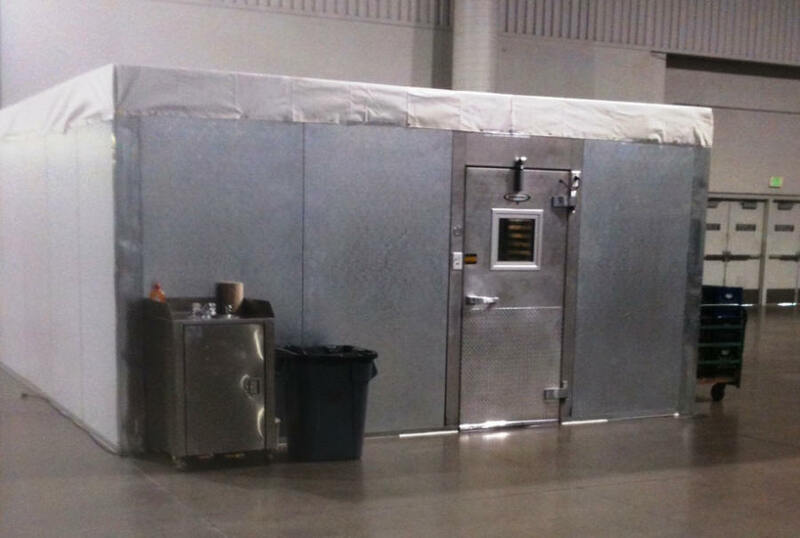 These custom built coolers can be up to 20′ x 20′ and add valuable temporary cooler space to your business for days, weeks or months at a time and are easily disassembled. Next day service is available! We can have your cooler up and running within 24 hours in most cases. These walk in coolers are great for indoor and outdoor* use. Speed racks, Queen Mary carts and hand trucks roll in and out with ease as there is no ramp or doorway lip. Coolers are built flush to the ground.